Yesterday I cleared out my desk, closed the computer, said goodbye to my colleagues and walked away from my job as a magazine art director. I have worked with magazines for the past 11 years and always loved my job, so as I wrote earlier, this wasn’t exactly an easy decision. But I truly believe that it is good and challenging to step outside your comfort zone every now and then. Remind yourself that you can always learn new things, change your habits and walk in new directions. On Monday we will start this new life. I have no idea where it leads us, but I can promise you one thing – this blog and our apps will get more attention and a lot more love in the future. We can’t hardly wait to let you in on all the exciting projects that we have planned. But let’s take one thing at the time, today we just want to start out smooooth-ie. If you have been following us for a while, you probably know that we keep a few different plant milks on rotation in our home. 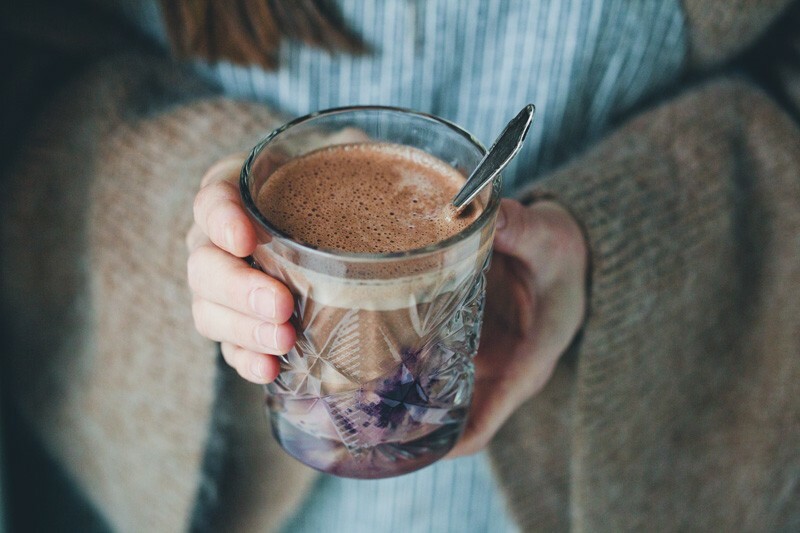 Almond milk, oat milk, rice milk and GMO-free soy milk are frequent visitors in our fridge. Today we wanted to introduce another one – open sesame! Sesame milk is the winner in the strong-bone-milk debate. With eight times as much calcium than cow milk! Sesame seeds are unfortunately also quite high in phytic acid, which can lower the mineral absorption. But you solve that problem by soaking them. Unhulled sesame seeds contain the highest amount of calcium, but are a bit too bitter for a milk or cream recipe, so aim for a combination of hulled and unhulled sesame seeds to get the fully nutritional value. Here we are blabbing on about sesame milk, when we are actually using sesame cream in this recipe. It’s the same thing but with less water. 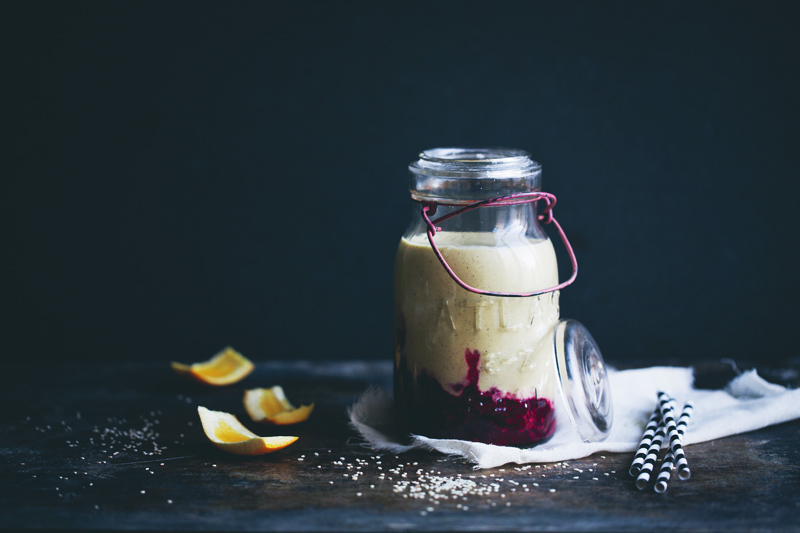 We have blended it with orange and vanilla into a thick and silky smoothie that we pour over some mashed raspberries. The berries are mainly there because they make the whole thing look much prettier, but they also add a fresh twist in flavor. Cheers! In the evening (or in the morning), place the sesame seeds and water in a jar and let soak for 6-8 hours. Drain the excess water and place sesame seeds and the 2 cups fresh water in a high speed blender. Blend until smooth. Pour the sesame mixture through a steel sieve (the cream is too thick to run through a nut milk bag). Rinse the blender. Place the strained cream back in the blender and add oranges, cinnamon, dates and sea salt. Blend until smooth and thick. Refrigerate until chilled (or add 2-3 ice cubes when you are blending it). Mash the raspberries and divide them equally between 4 glasses. Carefully pour the smoothie over the raspberries, dust with cinnamon and enjoy. Keeps for 3 days in the refrigerator. 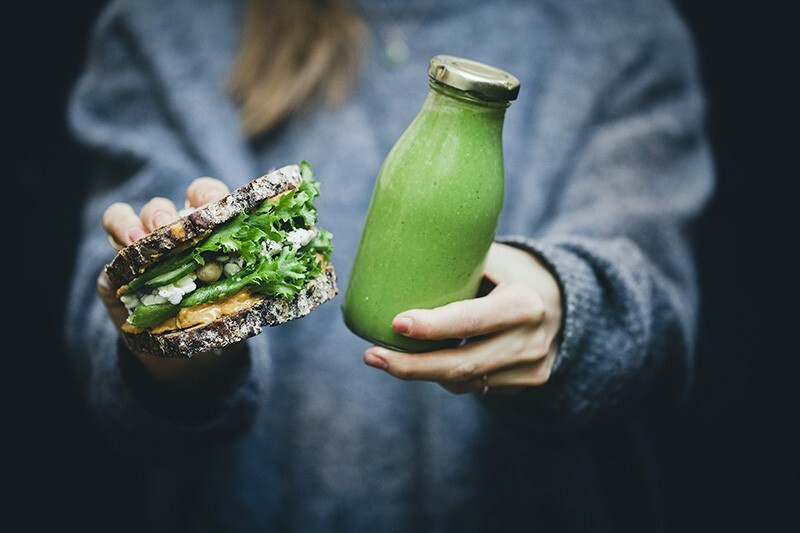 Tip: For a quick calcium boost, add a couple of spoonfuls tahini or pre-soaked unhulled sesame seeds to your regular smoothie recipe (and skip the straining). Tip: If you just want to make sesame milk, just double the water, add a pinch of sea salt and vanilla and strain through a nut milk bag. Great photos, you know what you doing. I am in love with your photography! We often make sesame milk, is our favorite milk after the almond one, but I use only unhulled sesame, and with some honey, the milk is not bitter at all. Good luck for your next chapter. Hi David. Great pictures, especially the first one. I always have troubles shooting from that perspective. Do you have any tips for me? Wish you all the best for your future! I'm sure that whatever you decide to do and whichever direction you take, you'll find nothing but success there! You were both so lovely when I met you at the London book signing. Your work is consistently great and I can't wait to see what you guys are up to next. Hi David Good luck with the next chapter of your career. 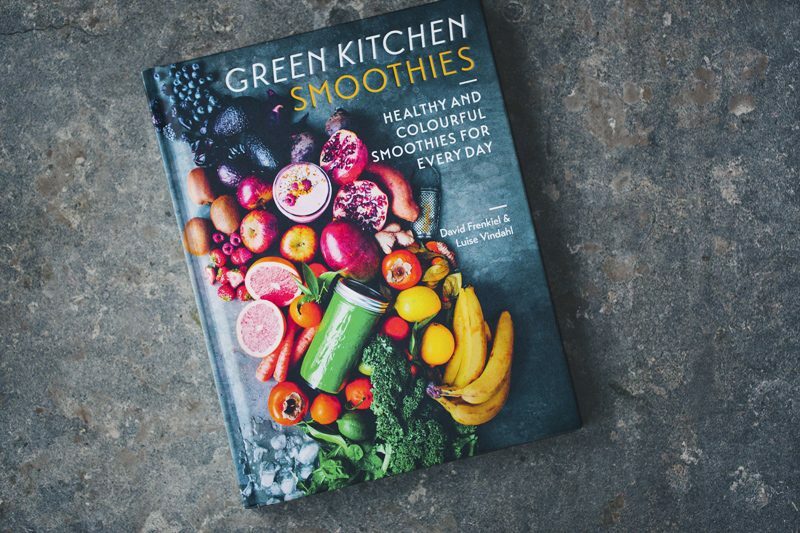 I've no doubt you've just scratched the surface of greatness with Green Kitchen Stories. Both you & Luise seem very passionate about your product & after all this is one of the keys to success. My partner & I are not vegetarians but your recipes are a regular feature on our table and have been for some time. Apart from writing to wish you all the best, I have a question - I live in Söder & I'm wondering if you can suggest where I might buy a nut milk bag. I have tried to find muslin bags but haven't had any success. 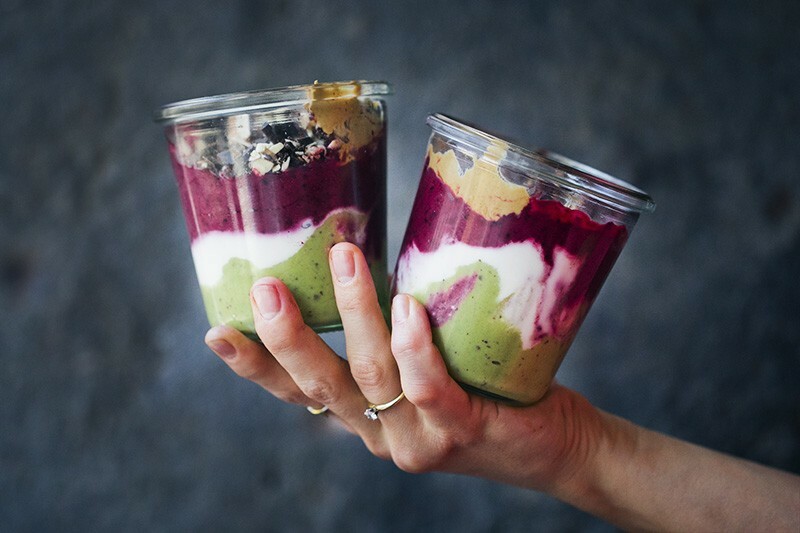 I hope you can please advise..
A beautiful smoothie to make soon! All the best David in your new journey. I am sure you will do wonderfully in the new journey because you keep on following your heart and passion, which comes through all your amazing recipes, pictures and posts!!! How inspiring when one decides to chase their dreams. I aspire to make this same decision one day. Thanks for sharing. Can't wait to see what unfolds for GKS. Congratulations for starting your new adventure! 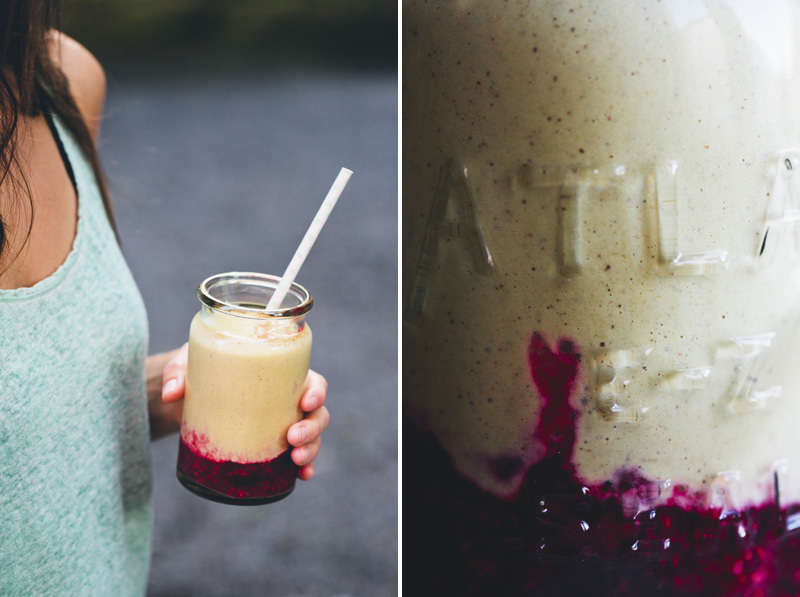 And this smoothie looks divine - I love how rich and creamy it looks. 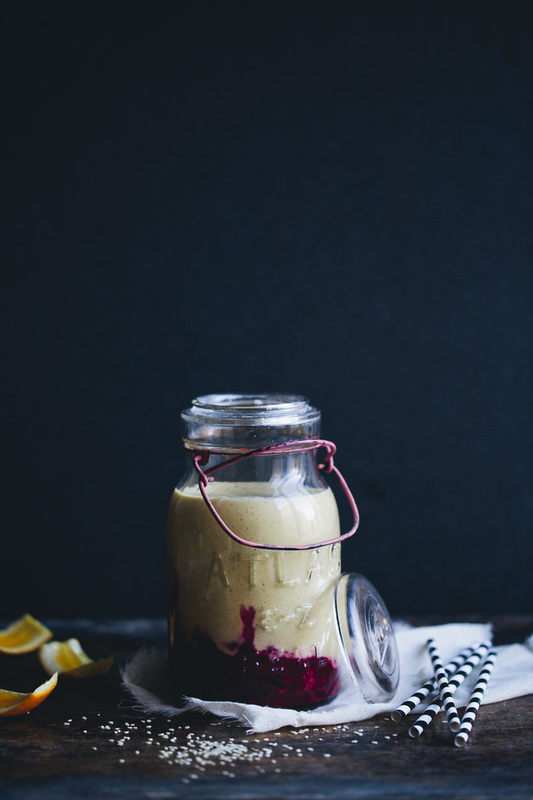 Dates in smoothies are very very delicious, and I love the combination of orange, vanilla and berries. I just discovered your blog and just wanted to say I'm in love with your writing, photography and recipes already......everything about it then! Good luck for your next chapter. Love your work, and I can't wait to see where you take the blog! Good luck with it all - you made the right decision! Congratulations on the change! I left my job (in advertising) after 21 years in 2010 to follow my creative heart. The first year was full of the unexpected, but now... I am so happy. I wish you a gentle year of transition and loads of support and love. Congratulations! I know you have a large crowd rooting you on. Never made sesame milk before - must try. Sesame milk sounds fabulous! This is such an awesome idea!! What a beautiful photo and a great idea. I wish you the best with your new adventure. How exciting...you will be wonderful. That is crazy beautiful! Good luck with your new life, can't wait to hear about those new projects!